Ever consider investing in hotels? You probably drive past many of them every day, and have likely never once considred hotels from an investment perspective. Check out this tip to wake up to the opportunities that may be just below your pillow! Mike Hambright: It’s Mike Hambright with flipnerd.com. 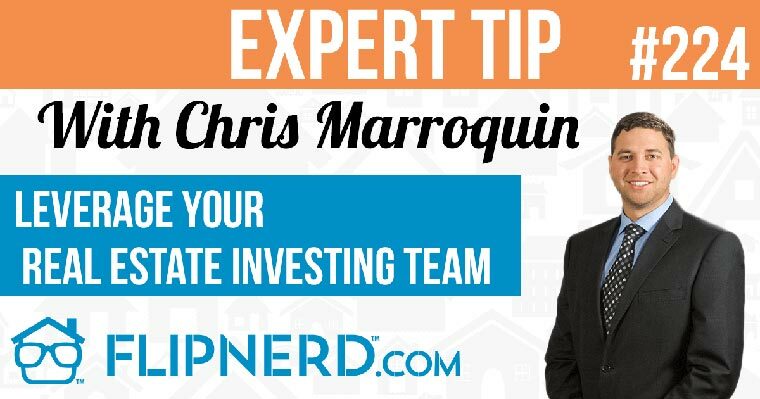 We have a quick tip to share with you from Jason Schubert, who’s going to tell you how to get rich in five years with investing with hotels. Jason Schubert: Hey guys, this is Jason Schubert. Thanks again, Mike. Here’s the quick tip of the day. First of all I don’t want you guys thinking this is something that you have to do by yourself. It’s something that we can actually help you with. The first step that you need to do is make sure you get the boot camp. I want you to learn the business model… learn how we do what we do before you go out there and try to attempt this all on your own. I don’t want you to lose any opportunities whatsoever because there are a ton of opportunities out there, so make sure you do whatever you can to come to a boot camp because at the end of the day not only are you going to learn what to do, but we’re going to show you and possibly even do it with you. There’s no timetable on how we work with people as well, Mike. We actually have an ability to work with you on your very first hotel until you own your very first hotel. We don’t just tell you what to do or show you what to do. We actually work with you until you own your very first hotel. There’s no timetable on it whatsoever. Secondly, I have a goal for you guys. I don’t want you to just buy one hotel. I want you to buy five because you have the ability to make between 10 and 20 thousand dollars a month on every single hotel that you buy. The average hotel owner in America owns a minimum of four hotels. All I want you to do is purchase five, and that’s one hotel per year, OK? That’s all I’m asking you to do. If you buy just one hotel per year, at the end of five years you’re making between 10 and 20 thousand dollars per month on each hotel how much cash flow will you have at the end of five years? You don’t have to have to rely on your employer who may or may not be keeping you around. You don’t have to rely on any type of government checks coming in the mail. You’re taking care of yourself. You have the ability. If you do this and you come to one of our boot camps, and you let us show you our business model, what we do, and how we do it, you’ll have the ability to make 50 to 100 thousand dollars per month at the end of five years. That is a conservative realistic goal. A lot of people would think, “Whoa, that’s so much. How am I ever going to do that?” We’re not talking about houses here. We’re talking about an income producing property with a minimum of 100 units at a hotel that produces this type of income. It’s really simple. We back ourselves into these deals, and we add up the expenses. Then we see how much revenue the property takes. After we pay all the expenses what’s left over in your bank account is cash flow. At the bare minimum if you follow the model that we teach at the boot camps, and I hope that everybody on this video chat actually gets a chance to go, you will see that you’ll have the ability to make 10 and 20, and at the end of five years the possibilities are limitless. Thanks, Mike. Jason Schubert: Let me know if there’s anything else I can do for you. I appreciate this, and I hope to see every single one of you guys who watch this go to my website at richinfive.com. Look and see where the next boot camp is. Make sure that you get there. The price of the boot camp is lower than probably anybody else out there right now. I want to make sure you have the ability to go. We’ll see you there.